Three ethnic Khmer handicraft villages in Tra Vinh province’s Tra Cu district have expanded over the last four years due to high demand and support from local authorities. Two of the handicraft villages are in Dai An and Ham Giang communes, as well as the sedge mat weaving village in Ham Tan commune. 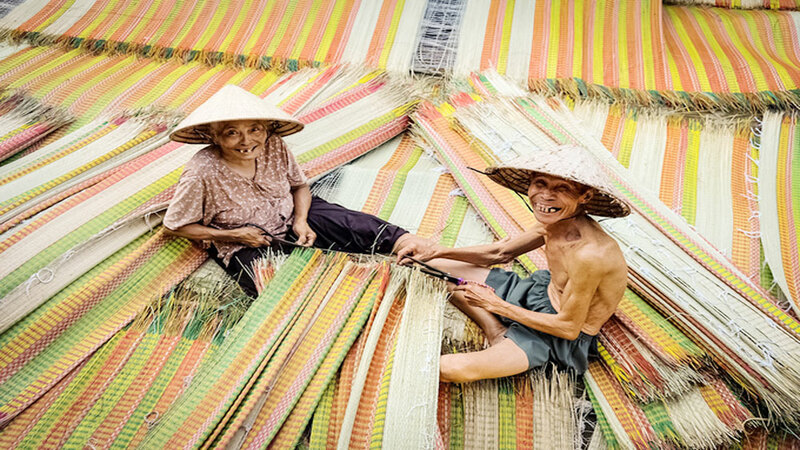 Ham Tan sedge mat weaving village in Tra Vinh province’s Tra Cu district has produced items for nearly 100 years. 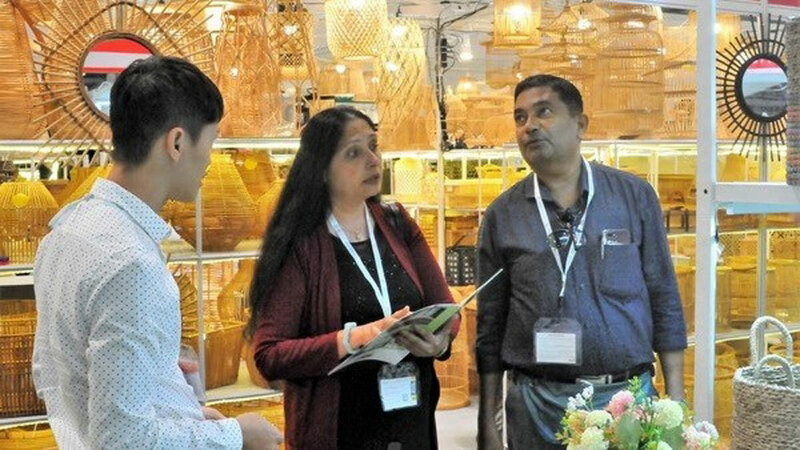 The Dai An handicraft village uses bamboo to make tables, chairs, baskets, fish catching tools and other houseware items as well as souvenirs and decorative items for houses, entertainment places and resorts. 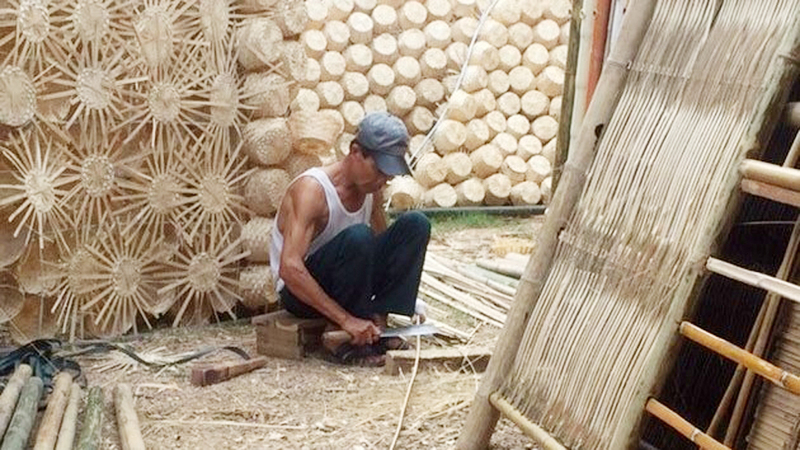 The Ham Giang handicraft village also uses bamboo to produce high-class beds, tables, chairs and other houseware items, all in high demand by restaurants and tourism sites. To improve transport to the three villages, the province spent more than 9.6 billion VND (410,000 USD) to build nine concrete roads with a total length of 8.2km, according to the province’s Department of Industry and Trade. 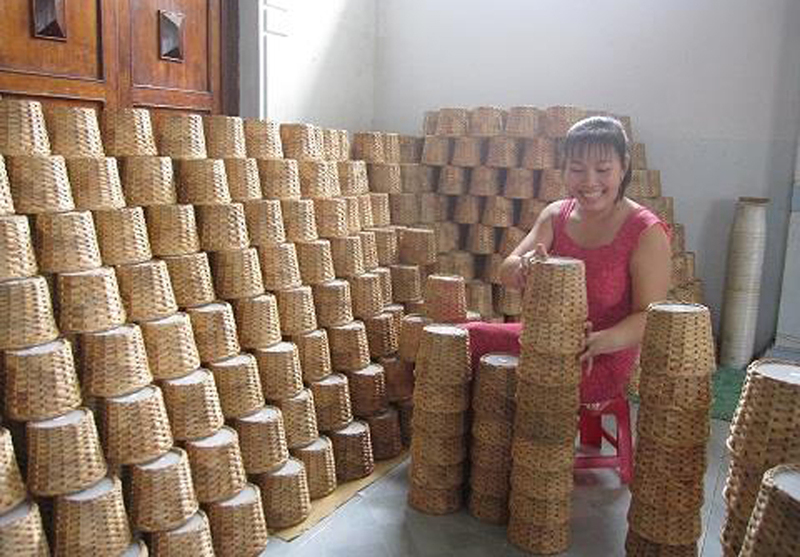 Thach Chi Na, who makes houseware items in Ham Giang handcraft village, said with the province’s support, many households making handicraft products in the village have worked since 2015 to set up a handicraft cooperative team. The village products sell locally and in provinces including Ben Tre, Soc Trang, Ca Mau and Bac Lieu, he said. Workers at the village have an average daily income of 200,000 – 250,000 VND (8.6 – 10.7 USD). Last year, the Department of Industry and Trade gave 404 million VND (17,300 USD) to a household producer Tri Canh in Ham Giang handicraft village to build a workshop, buy facilities and provide vocational training for its 20 workers. In the first quarter of the year, the department offered consultancy to Tri Canh to set up its showroom, design its logo and make new products. In Dai An handicraft village, more than 60 locals are making handicraft products. According to Do Van Dung, Vice Chairman of the Dai An commune People’s Committee, production cannot meet the high demand. Products such as baskets, flower vases and flower baskets are favored by tourists, restaurants and hotels. 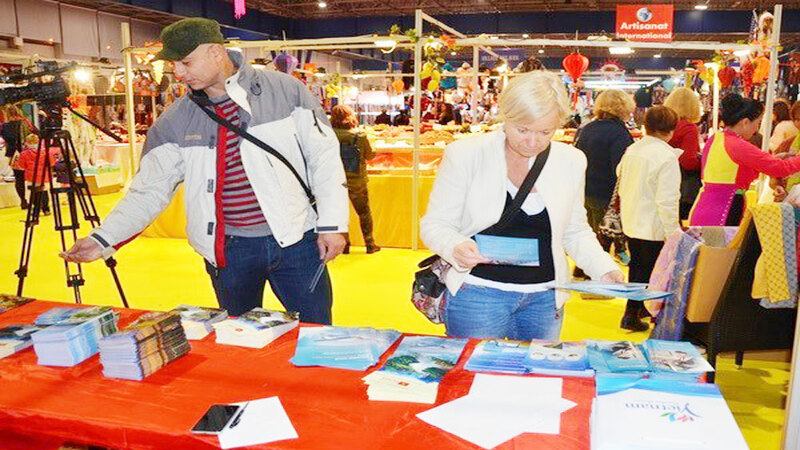 The village earned a total revenue of 6 billion VND (257,000 USD) from selling handicraft products last year. However, the two villages are facing a shortage of materials as locally grown bamboo only meets 30 percent of their needs. Most bamboo materials have to be bought from other provinces, causing high production costs. In Ham Tan sedge mat weaving village, locals have produced various types of sedge mats for nearly 100 years. The village is famous for its high-quality white-colored sedge mats and colored patterned sedge mats. Ham Tan has more than 2,250 households. Of these, 478 of them weave mats and 91 grow sedge for making mats. The village produces more than 140,000 sedge mats a year. 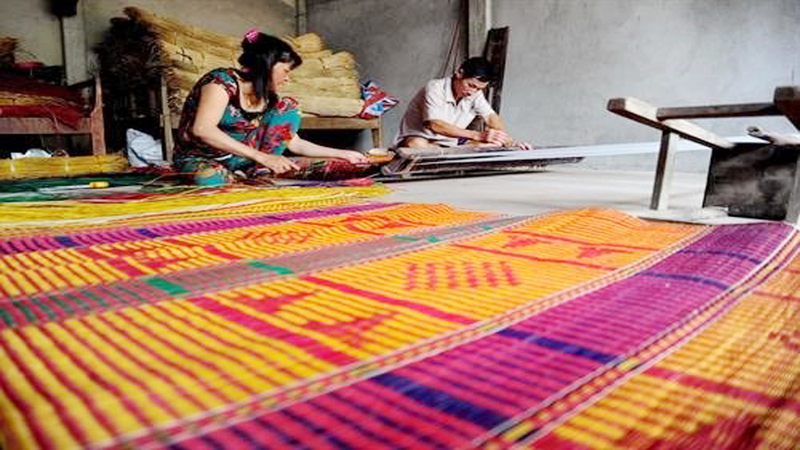 Normally, two people working together can weave two sedge mats measuring 2 metres long by 1.6 metres a day and earn a profit of 60,000 -70,000 VND (2.5 – 3 USD). Products such as baskets, flower vases and flower baskets are favored by tourists, restaurants and hotels. The commune has also provided money for locals to buy sedge for weaving mats or to plant sedge to increase income. The province’s researchers have also created mat weaving machines to weave mats more quickly compared to manual weaving. It also has helped villagers buy mat weaving machines to improve productivity. 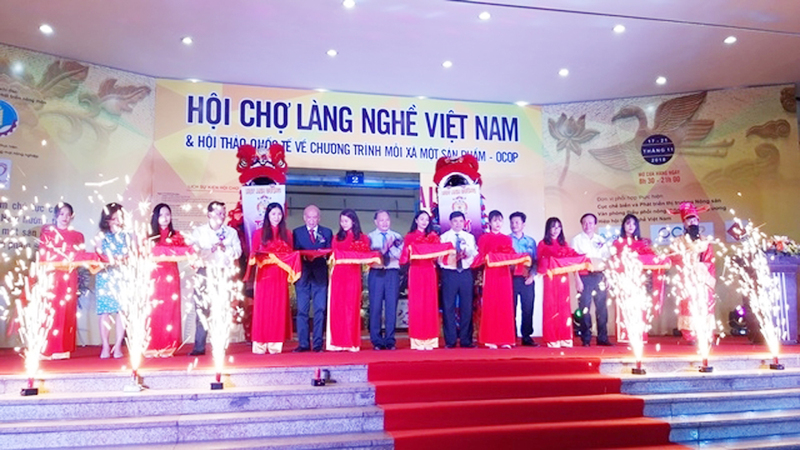 Tran Minh Canh in Ham Tan was provided with 50 percent of the cost of buying a mat weaving machine, worth 35 million VND (1,500 USD) in 2016. The mat weaving machine helped his family weave 10 to 12 sedge mats a day. Previously, his family could only make four sedge mats a day via manual weaving. The commune now has five mat weaving machines. Taking lots of time and effort, the people in this village is keeping the handcrafting mats alive. 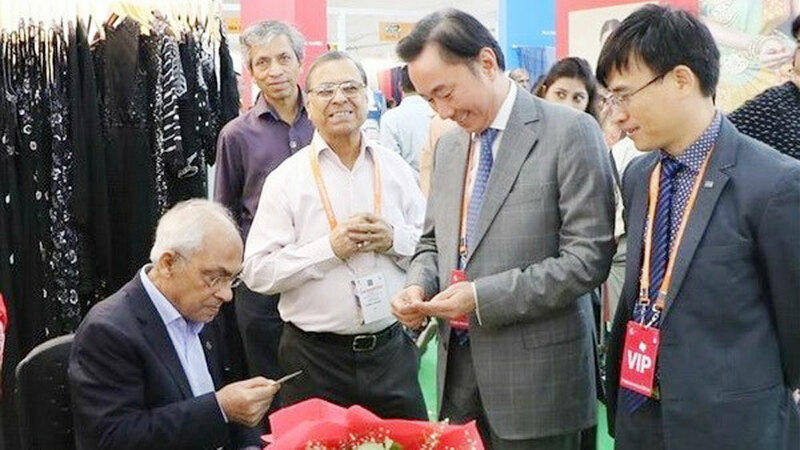 Nearly 70 Vietnamese handicraft and gift enterprises are exhibiting their products in over 80 booths at the Mega Show Hong Kong (China) 2018 from October 20-23. 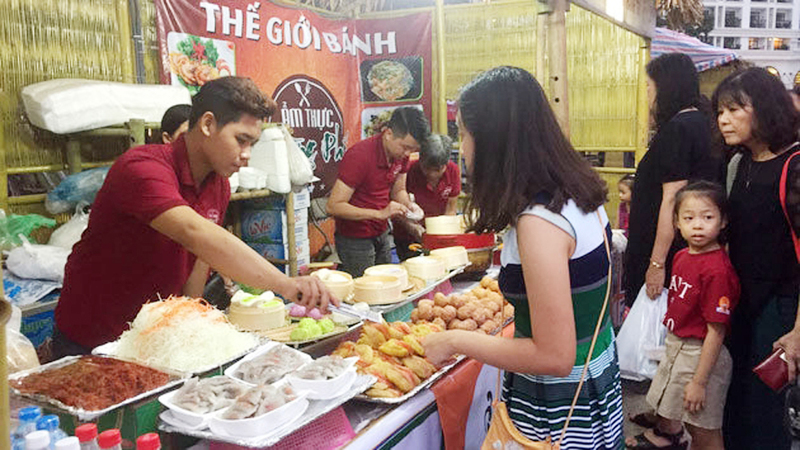 (BGO) – This year, the People’s Committee in Luc Nam district, Bac Giang province has paid due attention to investment attraction to boost up the development of industry and small handicraft industry (ISHI) in the localities. The Hanoi municipal Department of Industry and Trade launched a handicraft design competition, with the theme “Handicraft products associated with the development of craft villages and tourism in Hanoi", in Hanoi, on August 15. 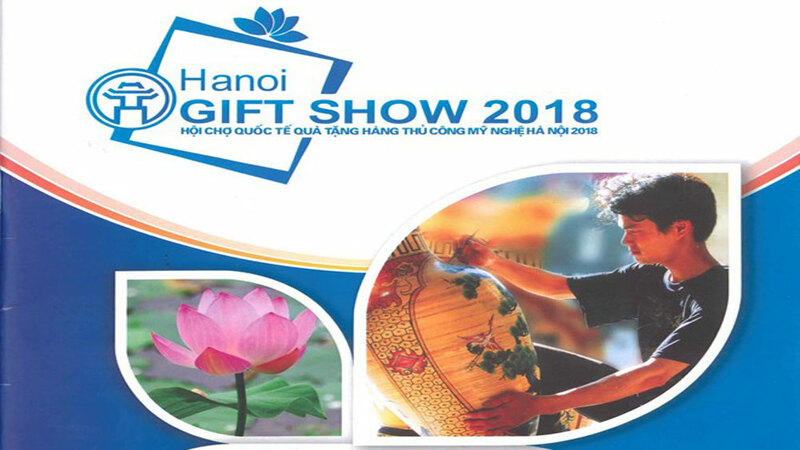 Thirteen traditional handicraft villages of Hanoi and six traditional handicraft villages of Quang Nam will be showcasing their products at An Hoi Sculpture Garden, Hoi An city, Quang Nam province, from August 17 to 19.